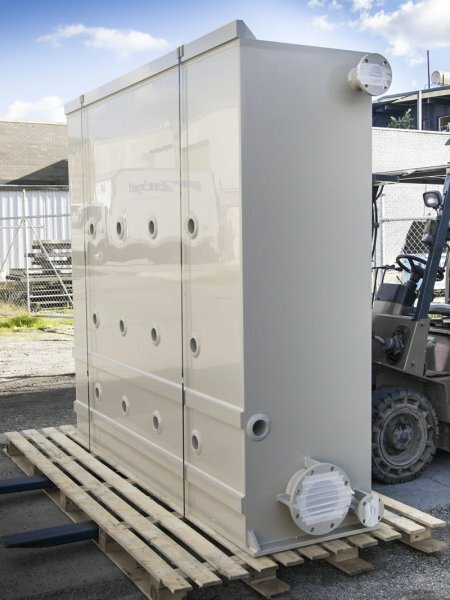 The superior corrosion resistance and environmental performance of modern industrial plastics makes them the ideal choice for a wide number of containment applications. 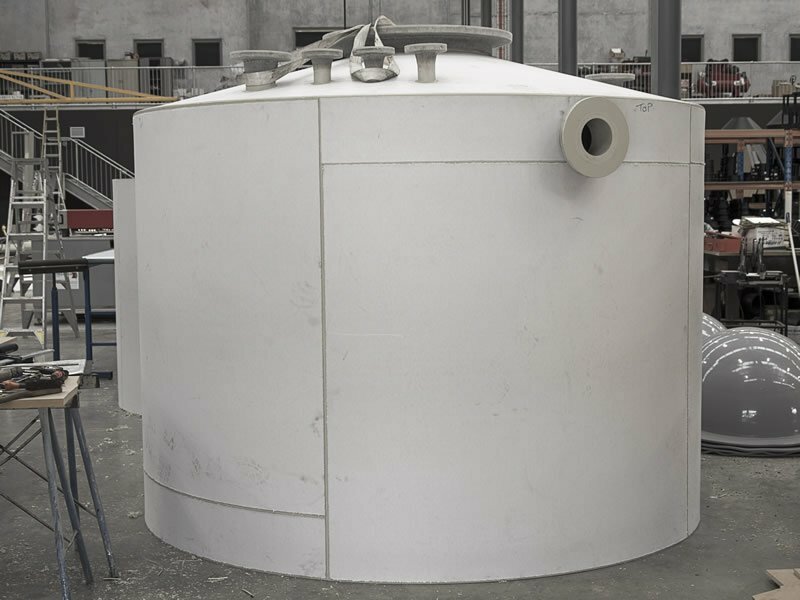 We can provide design and construction of tanks from thermoplastic material (normally polyethylene or polypropylene) engineered to the internationally recognized German design code DVS 2205 or European Code EN 12573. 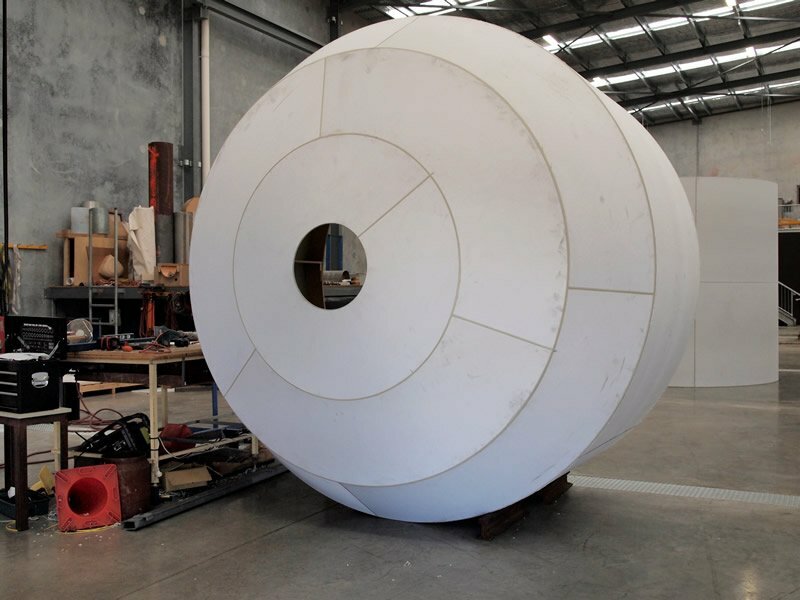 Design is carried out using the latest German software, RITA. 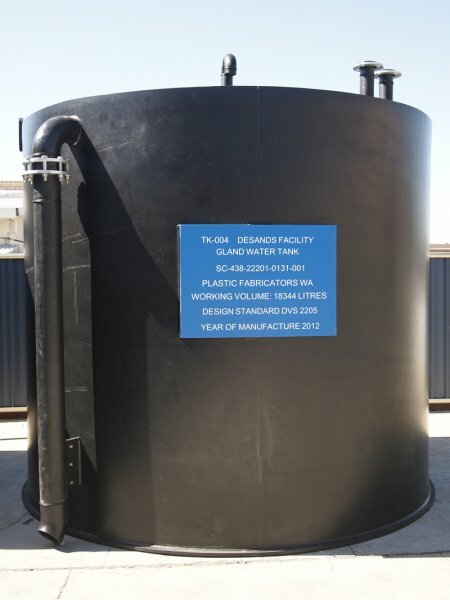 In this case the thickness of the thermoplastic is engineered to take account of the applied loadings as well as providing the necessary chemical resistance. 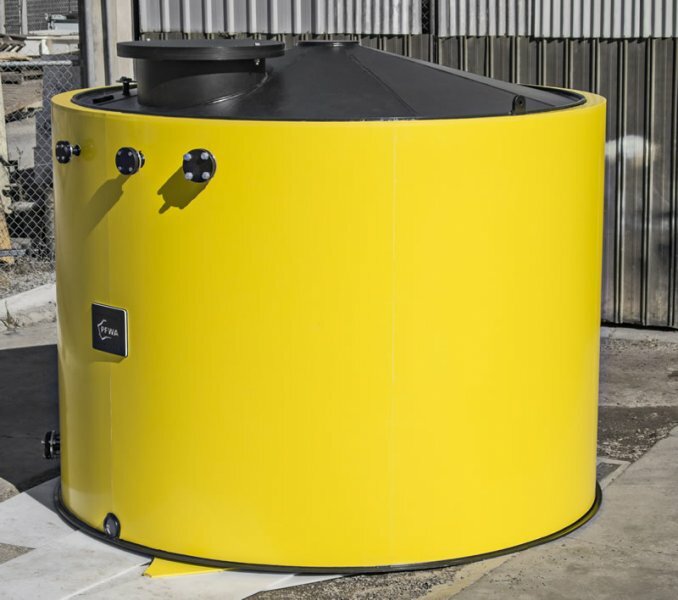 Although a relatively new industry in Australia, engineered thermoplastic tanks have been designed and manufactured in Europe and North America for many years. 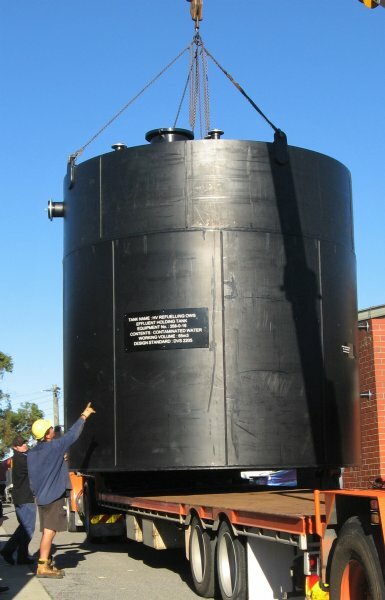 Engineered thermoplastic tank can provide both a very cost effective, low maintenance and extremely functional solution to your water and chemical containment needs. 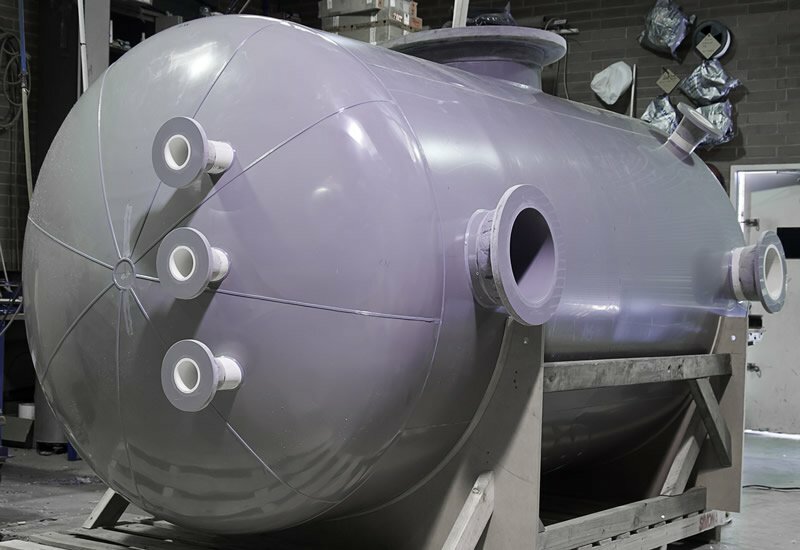 An alternative method of manufacture is the dual laminate tank construction whereby the chemical resistance of thermoplastics such as PVC, polypropylene or PVDF is combined with the strength of FRP. 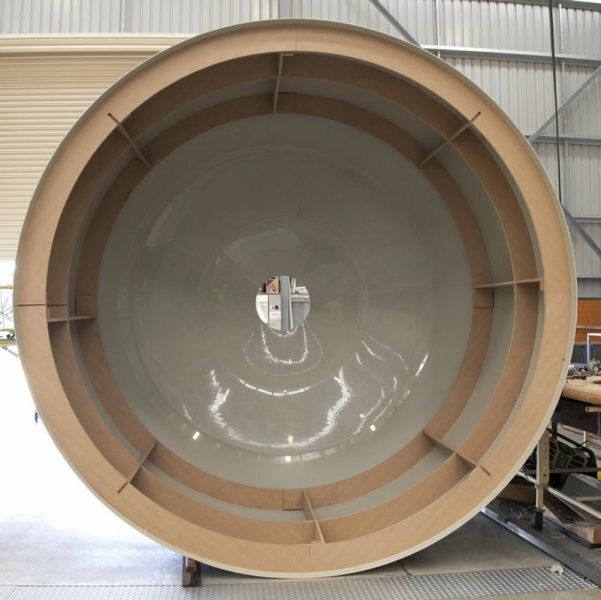 In this case the internal thermoplastic liner is typically around 3mm thick and is non-structural and the FRP thickness and lay-up is engineered for the applied design loads corresponding to the particular application. 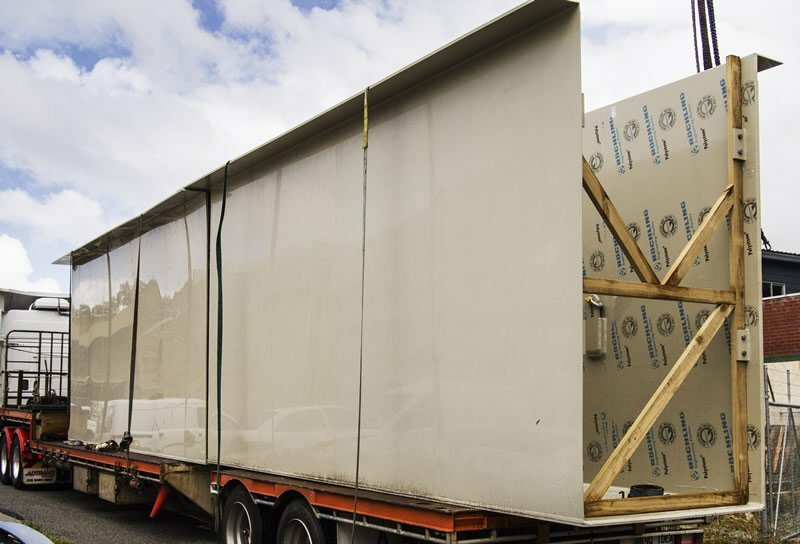 Depending on material selection and the specific service a reliable bond may be ensured between the liner and the FRP by using a glass backed thermoplastic liner. 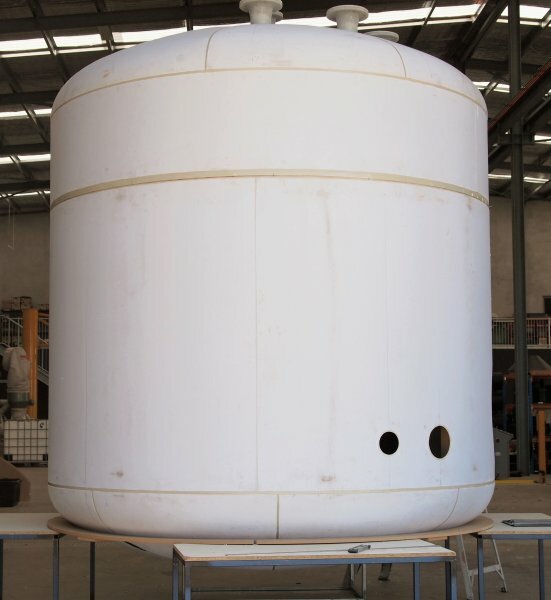 We can manufacture tanks to virtually any shape or size and have made tanks up to 55,000 litres capacity. 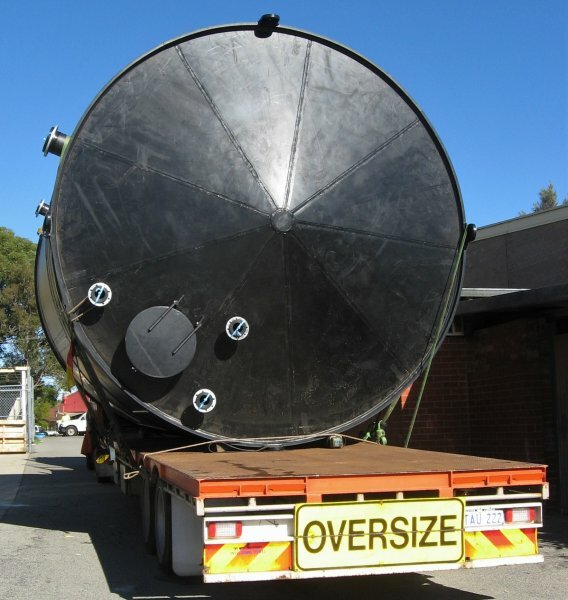 If required, tanks or vessels can be manufacture with domed or dished ends. 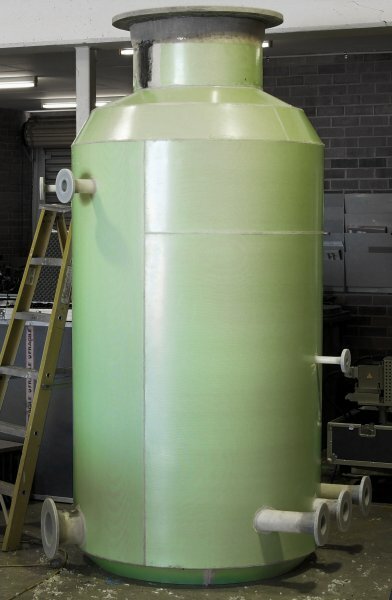 Apart from tanks, we can also manufacture pressure equipment, bunds or any other type of related containment device. 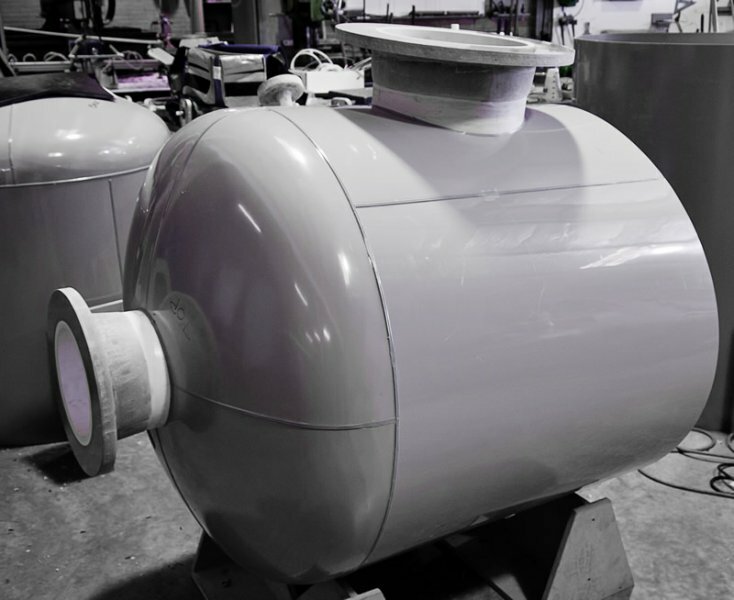 Heavy polyethylene tanks have proved suitable for applications in marine and railway applications where there is violent motion encountered. 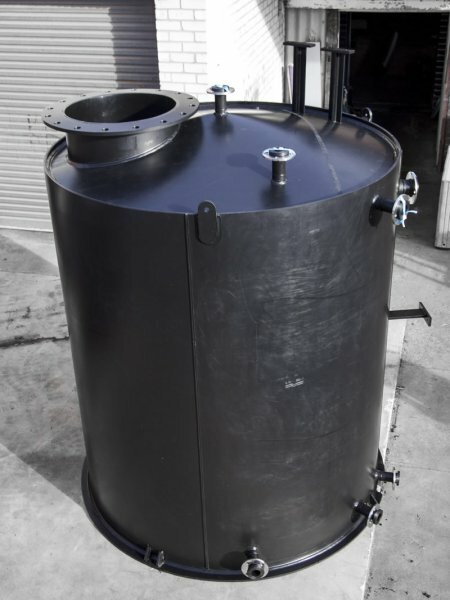 Uses have included water, sewage and fuel.